Cheap Weekend Fun in Boston for May 9-10, 2015! Happy Mother’s Day Weekend! Make sure to check the blog tomorrow for more ideas to do Sunday with mom on her big day + a list of places where mom can get in free including the zoo, restaurants, and more! Free Ferry to George’s Island: Saturday, May 9, 2015. The Boston Harbor Island season kicks off on Saturday and celebrate with free ferry rides to George’s Island! Lilac Sunday: Sunday, May 10, 2015 at the Arnold Arboretum. Check out the Lilac collection at the Arboretum on Sunday as well as enjoy family activities and fun! Pintervention pop-up: May 8-10, 2015 at Peters Park in the South End. Join the Pinterest team to bring pins to real life with a do-it-yourself dog park! ArtWeek Boston: May 1-10, 2015 across Boston. Enjoy this 10-day collection of arts and entertainment in Boston with half of the events free. It is also the last weekend of The Big Apple Circus at City Hall and you can find discounts here if you are interested! Cheap Weekend Fun in Boston for May 2-3, 2015! There’s a lot of fun and inexpensive things to do in Boston for the first weekend in May! Please let me know in the comments below if I missed any of your favorites! Walk for Hunger: Sunday, May 3, 2015. Help raise awareness and funds to help end hunger with a 20-mile walk through Boston, Brookline, Newton, Watertown, and Cambridge. The 32nd Annual MayFair: Sunday, May 3, 2015 from 12-6pm in Harvard Square. Enjoy this annual springtime event with three stages of music, dance troupes, food, crafts, street art, and much more! SoWa Returns: Sunday, May 3, 2015. Head to the South End on Sundays for an open market with food trucks, crafters, produce and more! 4th Annual Cinco de Mayo Block Party: Saturday, May 2, 2015 from 12-5pm at Taza Chocolate in Somerville. Join Taza Chocolate for food, music, fun, beer and tacos! Bank of America’s Museum on Us: Saturday and Sunday, May 2-3, 2015. Bank of America & Merrill Lynch cardholders can get into select museums the first weekend of every month for free by showing their bank card (per cardholder, not family). Museum of Fine Arts, MIT Museum and other museums across the state participate. Kid Price Saturday at Zoo New England: Pay and feel like a kid the first Saturday of every month at Franklin Park Zoo between 10 a.m. & noon for just $11.95. Head to Stoneham, MA to the Stone Zoo between 10am-12pm and pay $10.95 for admission. The Red Sox are playing the Yankees at Fenway Park this weekend and you can find tips on how to save money on Red Sox games all season long. The Big Apple Circus is currently at City Hall Plaza in Boston and the Boston Duck Tour season has begun and discount tickets can be found for both, which can be fun weekend (or weekday) activities! Cheap Weekend Fun in Boston for April 25-26, 2015! Can’t believe it’s the last weekend of April already… where is the time going?! Here are a few things to do this weekend in Boston on a budget! Please let me know in the comments below if I missed any of your favorites! Also, please keep in mind that I still away taking care of my new son (I’ll be back soon- hopefully! ), and I haven’t proofed this post (nor had a lot of sleep) so make sure you do your own diligence and make sure things are actually happening beforehand! Don’t forget to check out my post about April Vacation week ideas because there’s some fun things to do on that list as well! Fenway Park Open House: Saturday, April 25, 2015 at Fenway. The Boston Red Sox are hosting an Open House at Fenway from 10-6pm with a chance to explore the ballpark and catch a college game! Cambridge Science Festival: April 17-26, 2015 in Cambridge. Enjoy this multi-day festival celebrating the sciences with many different events with some free ones. Cristela: April 25, 2015 at the Wilbur Theatre. Female comedian Cristela is hitting up the Wilbur on Saturday night with some laughs! Discount tickets are available through Goldstar (affiliate link) for $11 + service fees. ICA: The ICA is free for families (with children under 12) the last Saturday of every month, except December. Free Women’s Self Defense Class: Every Saturday from 10-11am in Charlestown. Krav Maga Yashir Boston provides free self-defense training to women living in Massachusetts on Saturday mornings. Also, both Faneuil Hall Marketplace and Assembly Row are hosting job fairs this weekend, so check that out if you are looking for a job! Here’s some fun things to do this weekend in the Greater Boston area for this extra long Patriot’s Day weekend! Keep in mind that parking is free on Monday but keep an eye out for parking restrictions and more for Marathon Monday! If you are looking for some alterative transportation options, don’t forget to check out this post! 2015 Boston Marathon: Monday, April 20, 2015 from Hopkinton to Boston. Spectate and cheer on the runners of the 119th Boston Marathon. John Hancock Sports and Fitness Expo: April 17-19, 2015 at the Hynes Convention Center. Check out this free runner’s expo this weekend with seminar series, top companies and more! Swan Boats Opening Day: Saturday, April 18, 2015. The Swan Boats in the Public Garden return for the season on Saturday! Adults are $3.50 and $2 for children 2-15. South Street Diner Marathon Diner Special: Sunday, April 19, 2015. Stop by the South Street Diner on Sunday from 2-10pm for all-you-can-eat pancakes for $6! Free National Parks Weekend: April 18-19, 2015. It’s Opening Weekend of National Parks and all National Parks are FREE this weekend! Also, Papagayo’s Sing for a Free Brunch moves to South Boston on Sundays for the month of April and the Red Lentil Vegetarian Restaurant in Watertown is offering Free Brunch this Sunday from 9-3pm! Yum! The Red Sox are in town playing the Orioles this weekend and you can find tips for saving money on Red Sox Tickets, Fenway Parking and more! If you are looking for even more things to do, the Big Apple Circus is currently at City Hall Plaza in Boston and the Boston Duck Tour season has begun and discount tickets can be found for both. 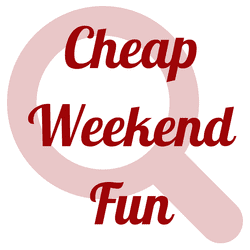 Cheap Weekend Fun in Boston for April 11-12, 2015! There’s a lot of fun and cheap things to do this weekend in Boston! As you may know, I’m taking a few weeks off to spend time with my beautiful baby boy so I may have missed more events than usual. Please let me know in the comments below if I missed your favorite! Wicked Wine Fest: Saturday, April 11, 2015 at the Boston Center of the Arts in the South End. Sample some delicious wines and enter to win some giveaways! Ticket prices vary but comp and discount tickets are available through Goldstar Boston (affiliate link). Pics in the Park: Sunday, April 12, 2015 at the Boston Public Garden. Enjoy a free photography workshop with a professional photographer. All levels and skills welcome. Shrink at Ink: Saturday, April 11, 2015 in the South End. Head to the South End from 10-11am on Saturday for a free Pilates class! For the month of April, Papagayo’s Sing for a Free Brunch moves to South Boston on Sundays if you are interested! Also, the Big Apple Circus is currently at City Hall Plaza in Boston and the Boston Duck Tour season has begun and discount tickets can be found for both. Cheap Weekend Fun in Boston for April 4-5, 2015! Here’s some fun and cheap things to in Boston for the first weekend of April! As previously mentioned, I am taking some time off for some quality time with my newborn and this roundup was done in advance. Please do your due diligence to make sure the events are still happening with the correct info. Thank you! Annual Egg Hunt: Saturday, April 4, 2015 in Roslindale at 11am. There will be over 4,000 eggs and a visit from the Easter Bunny in Roslindale on Saturday! Bank of America’s Museum on Us: Saturday and Sunday, April 4-5, 2015. Bank of America & Merrill Lynch cardholders can get into select museums the first weekend of every month for free by showing their bank card (per cardholder, not family). Museum of Fine Arts, MIT Museum and other museums across the state participate. Free CorePower Yoga: Sunday, April 5th at 10am at CorePower Yoga studio in Cambridge. CorePower Yoga is offering a free yoga class in honor of Last Call’s Foundation Marathon team. Donations appreciated. Shrink at Ink: Saturday, April 4, 2015 in the South End. Head to the South End from 10-11am on Saturday for a free Pilates class! Hope you have a great weekend and Happy Easter!